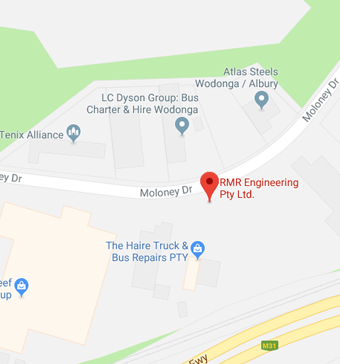 RMR Engineering operates a successful and diverse business based in Wodonga Victoria, operating primarily in Industrial and Stainless-Steel sectors with quality products & professional service for all clients. RMR provides integrated engineering services to manufacturers and construction companies, locally and overseas. Providing high-quality stainless steel fabrication. We can provide assistance on all fabrication, project management and design & construct projects. We like to be heavily focused on OHSE, quality assurance, attention to detail, communication and customer services to make sure your next engineering experience is not only stress-free but rewarding for all parties involved within the services. We have our own dedicated in-house design team that can create a wide array of engineered solutions for our clients. Stainless Steel, carbon steel, galvanised, powder coated & aluminium are such products that we can manufacture with. RMR Engineering likes to be involved in all installation projects that we manufacture to make sure that they are well executed. The RMR Engineering team like to be involved in the commissioning of our manufacturing and installation services. RMR Engineering offers a full maintenance service, both preventative and/or breakdown services for your convenience. Contact the highly trained staff at RMR Engineering for all questions or projects you may have. Give us a call or drop by our location and tell us what you require help with and we will help you at our earliest convenience.